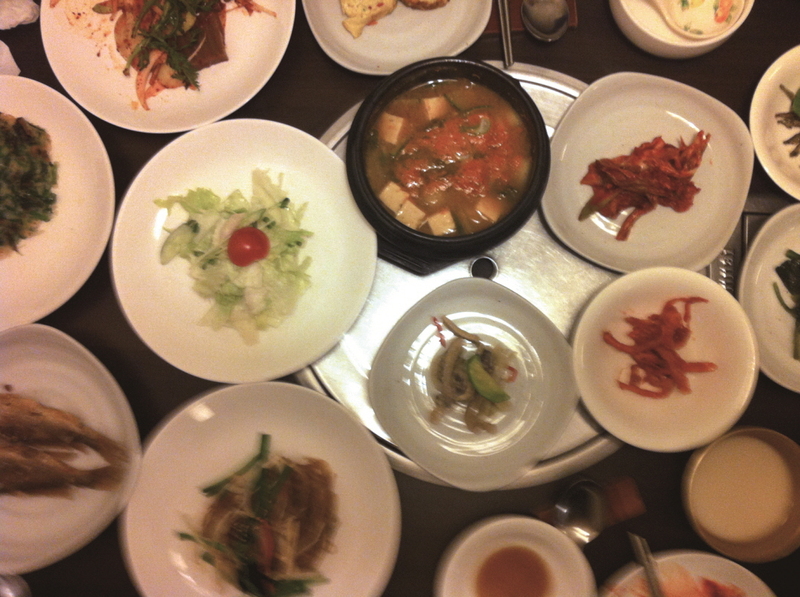 You won’t find many Korean restaurants on Rodeo Drive in Apgujeong. 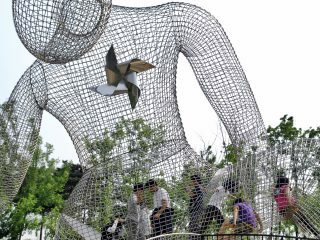 The ritzy street that epitomizes Gangnam has never been very kind to restaurants. 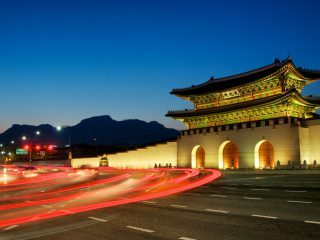 Korean food has high labor and food costs, and most Koreans are very particular about their Korean food. If the food is not better than their own mothers and it costs as much or more than a Western meal, then most don’t feel the need to eat it. The mother/chef at Ooma Bapseong on Rodeo Drive has swayed all naysayers and serves up some of the best Korean food in all of Korea. It is the attention to detail that makes this restaurant exceptional. 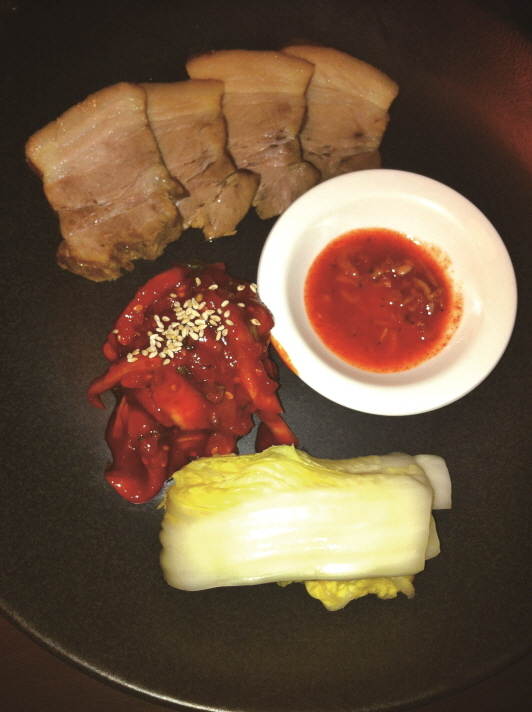 Crispy green onion pancakes, the pork in bossam, and even the japchae come out hot. The various vegetable banchan—the fernbrake salad, cabbage kimchi, and pickled sesame leaves—have crunch and are delicately plated. The true evidence of her care is in the soybean paste soup. It is flavorful and hearty with the light wafting of bean paste. You can get the normal bapseong (meal with rice) for KRW 12,000 or upgrade to get stir-fried pork or squid for KRW 17,000. 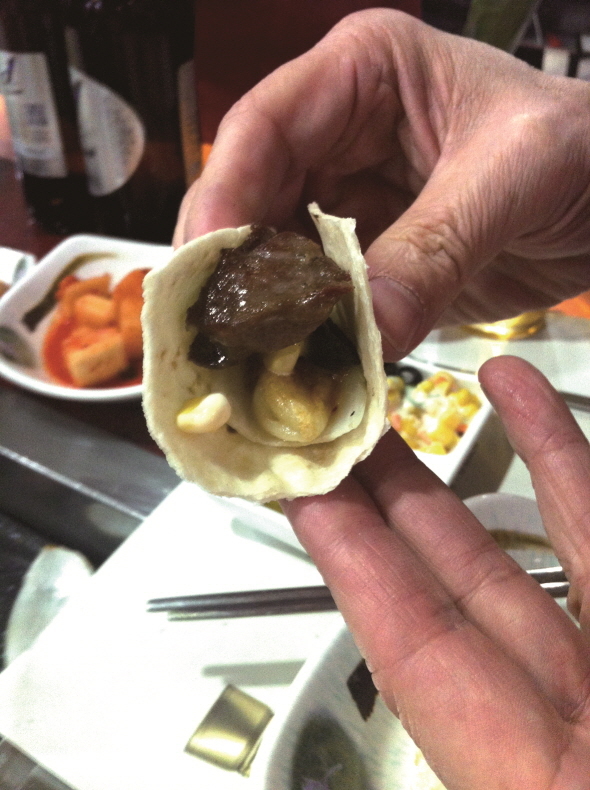 You can get their specialty—marinated and then pan-seared beef—for KRW 30,000. It’s worth every penny. When a restaurant advertises boyang (restorative stamina) food, it attracts a certain type of crowd: usually loud, old-school gentlemen that eat the food more for its “restorative” qualities rather than for its taste. In 10 years, Lamb Land has shown these older men (who Koreans lovingly refer to as ajeossis) that boyang food can be delicious and gourmet. They have done so well that they moved from a little store that could barely fit 30 people to a place that seats 150. And yes, the specialty of the house is lamb. 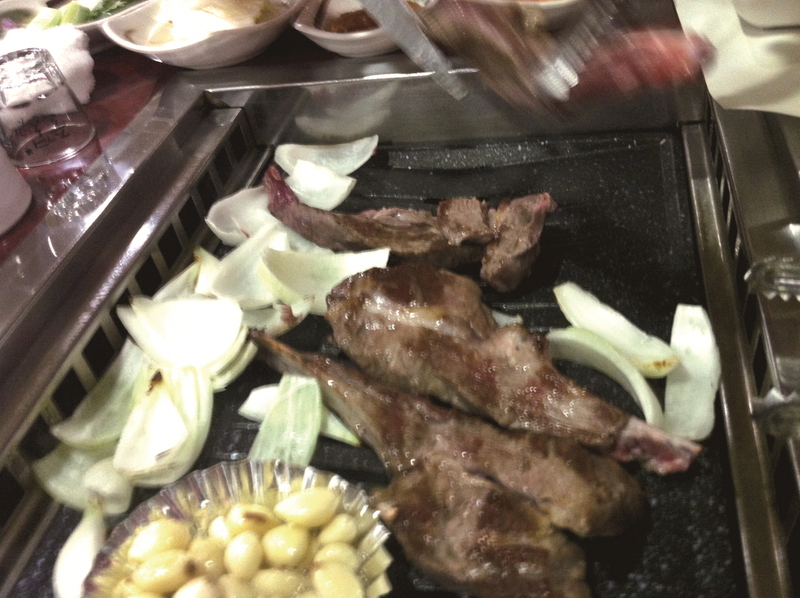 You can get fresh Australian lamb on the bone (KRW 25,000 per 200g serving) grilled at your table or lamb galbi, chunks of lamb (KRW 12,500 per 100 g serving). After the lamb is cooked, they make a mini-lamb taco made with tortilla, black olives, and their homemade corn salad. I was a bit skeptical of the tortilla at first because in Korea fresh greens are usually used for wrapping, but it was delicious. The lamb is also very good in their sweet-and sour mustard dip. If you are feeling a bit more adventurous, they also have turtle on the menu (48-hour advance notice needed). Service is friendly and thoughtful. They offer coat covers for each person so guests won’t go home smelling of lamb barbecue. The restaurant has a raucous yet polite energy, and the place is always busy. It is highly recommended you make reservations in advance.